NCAA Basketball Committee emphasizes true (quality) road wins; Which top programs could suffer? 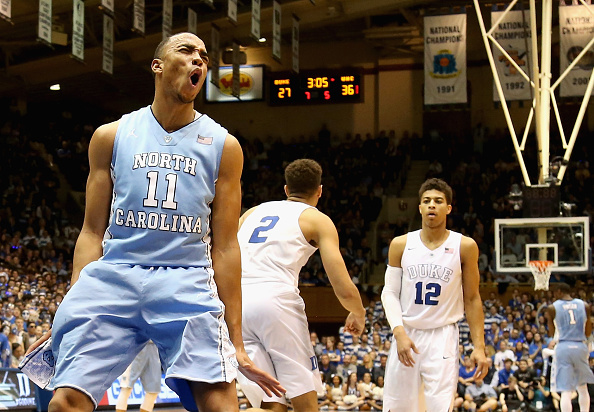 The course correction could be jarring for several top teams, such as North Carolina. Team sheets (which the committee has used to compare potential additions to the 68-team field) will now put a greater premium on quality road wins. In essence, a win against a top-75 team on the road will matter just as much as a top-30 win at home or a top-50 win at a neutral site. In the past, top-50 wins were evaluated on a similar playing field, no matter the location of the game. For some programs, that won’t matter much at all. If they already played a reasonable number of road games each season, this might even help them a bit. But where it could potentially ding some schools is with regard to the neutral games, which no longer matter as much as they once did. With growing frequency, top college basketball programs have been using neutral site (or in some cases, barely-neutral site) games to pad the metrics the committee was looking at come Selection Sunday. For Kansas, that could’ve meant games in nearby Kansas City. Or Duke and North Carolina could play opponents in Charlotte or Greensboro, and have it count the same as a road game. Other top programs engaged in similar practices, “gaming” the system with nearby neutral sites. KenPom took to tracking these sorts of match-ups in the individual team profiles. While it would be exhausting to run down EVERY program’s scheduling practices over the last four years, it’s worth glancing at the top teams to see if some have utilized neutral games more than others. On top of that, have a glut of neutral wins for some teams distracted from poor road records? Who’s loaded up on neutral games? Of the 14 schools examined, six played 25 or more neutral-site games over the past four years. Michigan State (31) and Duke (30) led the way, but the rest won’t shock you either. Kansas played 29 neutral games, North Carolina had 28, Gonzaga played 27 and Iowa State tallied 26. There’s a caveat to be had for Gonzaga, however, since each of those seasons featured three West Coast Conference Tournament contests (so, 12 in all). Five programs — Syracuse, Louisville, Virginia, Wisconsin and Wichita State — played 22 or fewer neutral games. Part of the reason for the low figures by the Orange and Cardinals is that both had postseason bans in this stretch. However, that doesn’t make up the big gap from 13 and 14 neutral games, respectively, to the next lowest (21 by UVA and Wisconsin). Which teams performed poorly on the road? 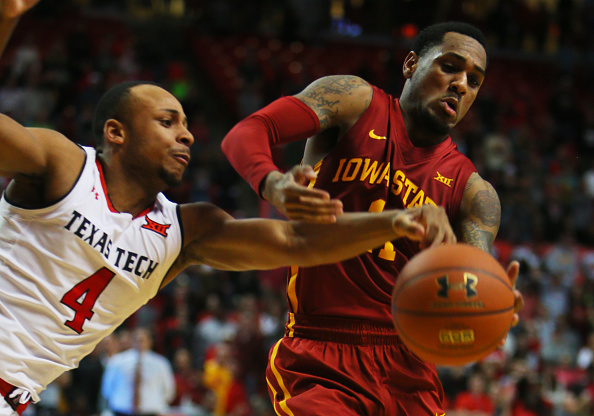 Just two schools — Syracuse and Iowa State — had losing road records during that timespan. However, North Carolina, Duke, Kansas, Louisville and Kentucky scored road winning percentages below 65 percent. That’s not bad, but five of the other seven programs were reasonably higher. Wichita State, Gonzaga and Villanova all won more than 80 percent of their true road games. Arizona won over 71 percent of those contests. Who has the largest disparity between neutral-site and road success? North Carolina and Iowa State show the largest discrepancy between neutral and road success, each winning at a 30 percent greater clip at neutral sites than on the road. Couple that with both teams’ high neutral site game numbers and poor road records, and it’s easy to see that those two programs — more than any others — will probably have to fine-tune scheduling going forward to account for the road bump. While not to the same extreme as the Heels and Cyclones, Kentucky (19.9 percent difference) and Duke (18 percent) are also on the short list of programs that would be impacted a bit by the change in practice. Virginia’s delta is actually larger than both of those schools (20.5 percent), but the Hoos were also among the better-performing road schools, so the difference makes less of an impact on the overall resume. Wichita State was the only school with a negative differential between the two, but those scheduling practices are set to change anyway, given the Shockers’ move to the AAC. The smallest differences in overall success between neutral and road win percentages belonged to Gonzaga (plus-5.1 percent) and Arizona (plus-7.7 percent), indicative of the right balance between total games and competitiveness. Theoretically, neither school would have to change a thing. As the policy gets put into play, expect to see some shifts from the worst offenders, UNC and ISU. But the Tar Heels probably won’t move too much, if at all. North Carolina’s league, the ACC, will be moving to a 20-game conference schedule to coincide with the launch of the ACC Network in 2019. That means one more road game per year already. And for a program that won just 55.8 percent of road games from 2013-14 through 2016-17, UNC might prioritize neutral games (which they’ve won 89.3 percent of) over the 50-50 shot to beat a quality team away from the Dean Dome. UNC’s not alone in that math, either. And we’ll see how this shift affects what’s been an explosion of preseason tournaments in recent seasons. In theory, those events could continue unscathed. But if top programs (like many above) would rather earn more credit from the committee for beating a 75th-ranked team on the road than a top-40 team on a random island locale, perhaps it becomes harder and harder to keep these events running in the future.